The new GLE features a seven-seat configuration for the first time; the latest generation of the MBUX multimedia system; two 12.3-inch display screens; MBUX Interior Assistant; Nappa Leather; Blind Spot Assist; and AIRMATIC (standard 450 4MATIC). 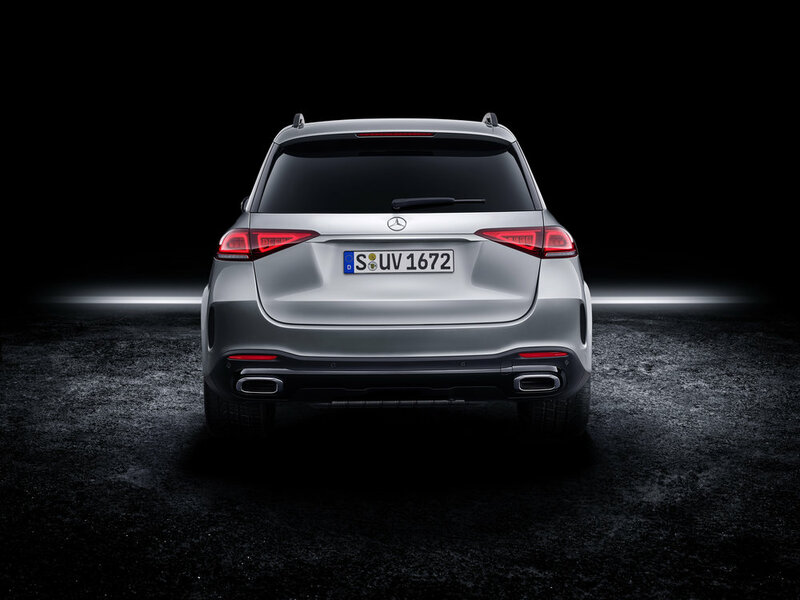 GLE 300 d 4MATIC, which replaces the GLE 250 d, the new GLE 450 model is also introduced. The GLE 300 d 4MATIC features a 2.0-litre four-cylinder diesel engine, which produces 245 hp and 500 Nm of torque. It can travel from 0 to 62 mph in 7.2 seconds and has a top speed of 140 mph. It can achieve 46.3 mpg on the combined cycle and emits 162 g/km of CO2 (depending on wheel size). The GLE 450 4MATIC is powered by a 3.0-litre six-cylinder petrol engine with EQ Boost, which has an output of 367 hp and 500 Nm of torque. EQ Boost uses a 48-volt onboard network with a belt-driven starter/alternator – the system adds 22 hp to the car’s overall output. It can sprint from 0 to 62 mph in 5.7 seconds and has a top speed of 155 mph. It delivers up to 33.6 mpg on the combined cycle and emits 191 g/km of CO2 (depending on wheel size). The GLE comes as standard with MBUX multimedia system with ‘Hey Mercedes’ voice activation; 12.3-inch widescreen cockpit display and 12.3-inch touchscreen media display; blind spot assist; 20-inch five-twin-spoke AMG alloy wheels; illuminated grab handles; illuminated running boards; Static LEDs with active high beam assist; Privacy glass; anthracite open-pore oak wood trim with Nappa leather upholstery; mirror package including automatically-dimming driver’s exterior mirror and rear-view mirror, and logo projection; heated front seats; parking package including active parking assist; automatic two-zone climate control; and traffic sign assist. The GLE 450 4MATIC adds AIRMATIC air suspension system, and the seven-seat equipment line as standard - costs £1,995 for GLE 300 d 4MATIC - which includes electrically adjustable rear seats; additional USB ports; automatic four-zone climate control; and a third row of two seats (manually folding). There are a number of option packages available. The Premium package costs £1,995 and comes with Multibeam LEDs with adaptive high beam assist plus; memory package; wireless charging; and parking package including 360o camera. The Premium Plus package is available for £4,295 and adds Burmester surround sound system; Energizing package including Energizing comfort programs and AIR-BALANCE package for fragrancing and filtering of interior air; Keyless-Go Comfort package including Keyless-Go access and drive authorisation system, hands-free access and remote boot closing; and Panoramic glass sunroof. The Tech package can be added for £495 and includes augmented navigation and smartphone integration. The £1,495 Tech Plus package adds MBUX Interior Assistant which allows intuitive, natural operation of different comfort and MBUX functions by movement recognition; and head-up display. 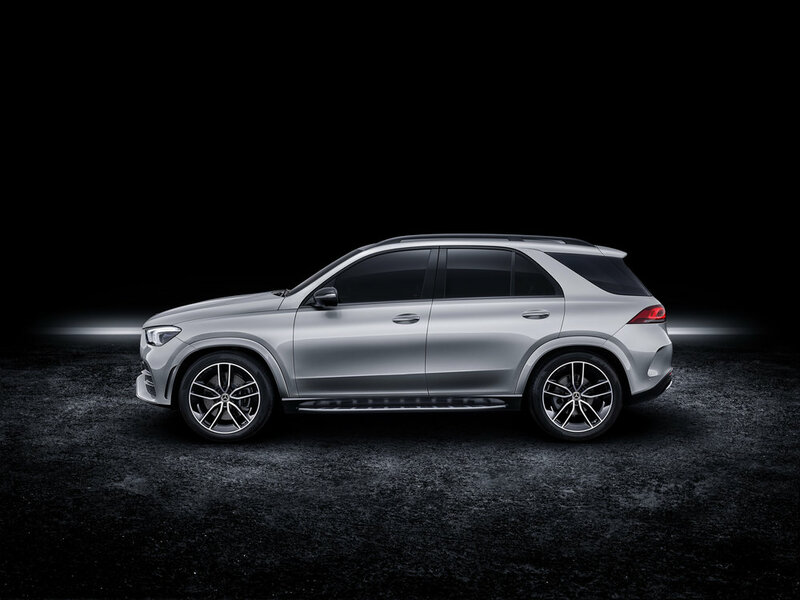 The Towing package – only available in conjunction with the Premium package – costs £1,150 and includes Hitchtronic which provides a parking assistance system for trailers; trailer coupling with electronic stability control; and increased towing capacity (GLE 450 4MATIC only). The Off-Road package can be added to the GLE 450 4MATIC for £1,695 and comes with the Off-Road engineering package which includes additional off-road driving modes and downhill speed regulation; and underbody protection which provides an underguard for the engine, together with reinforced underfloor panelling the full length of the vehicle. The Driving Assistance package is available for £1,695 and comprises Blind Spot Assist; Lane Keeping Assist; Active Distance Assist DISTRONIC; and Pre-Safe anticipatory safety system.